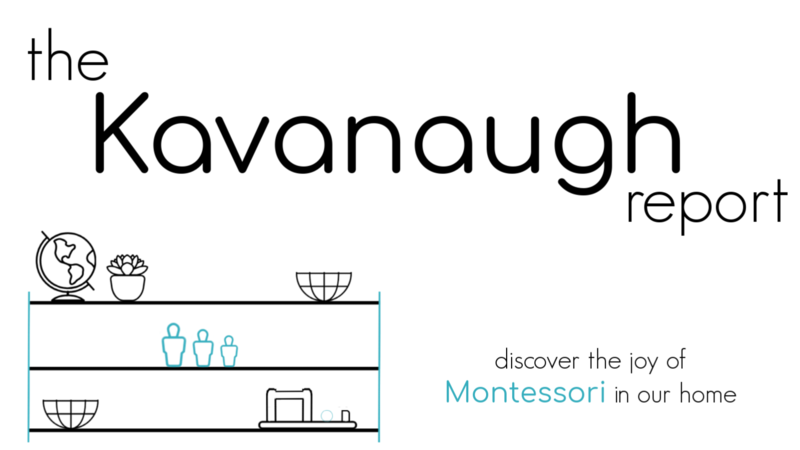 There is a myth about Montessori that all Montessori friendly need to be expensive and wooden. 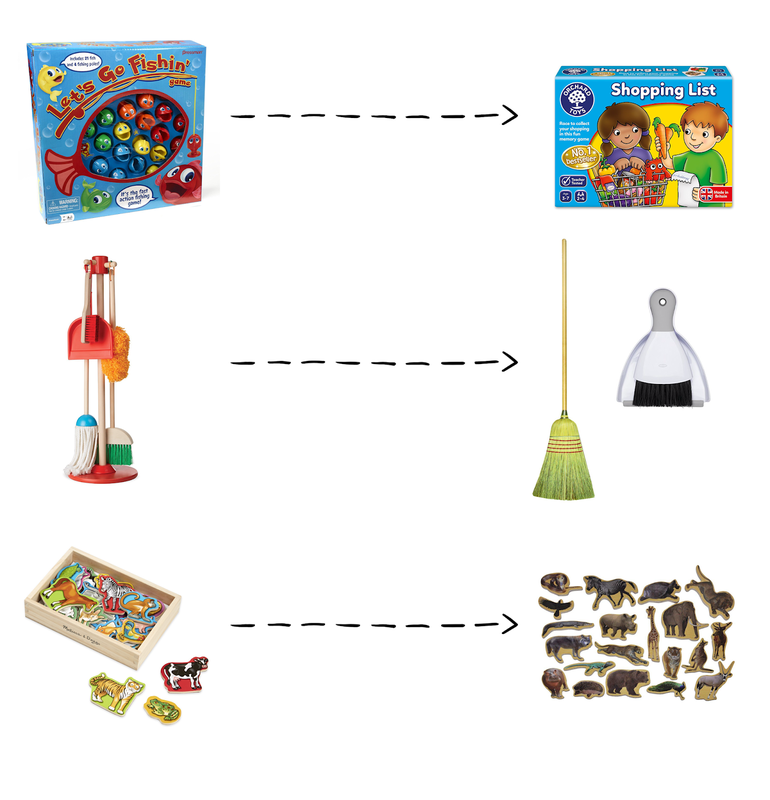 A few weeks ago, I wrote a post about Montessori alternatives to popular toddler toys to try to show that that's not true! When I wrote that post a lot of people asked me to make posts for older children as well! 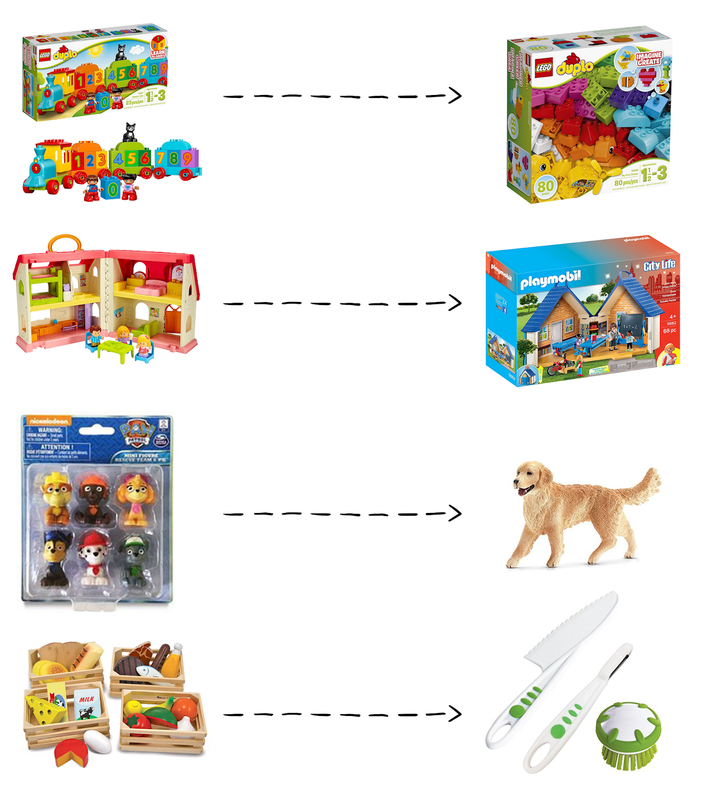 So, I recently came across this list of Best seller preschool toys and thought it was time for another post! 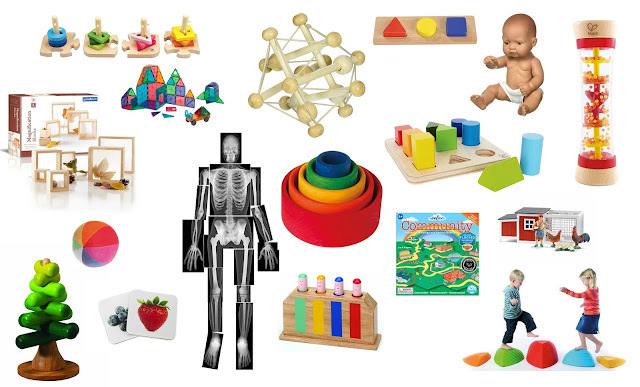 There are plenty of Montessori friendly alternatives to traditional toys that aren't that different in price. Now, I think this list uses some liberties with the word "preschool" and includes some toddler and infant materials. So I picked through the list to find those most reasonable for young preschoolers - ages 3 and young 4. Some of these materials would still be appropriate for older children, including the art. You just have to know your child. 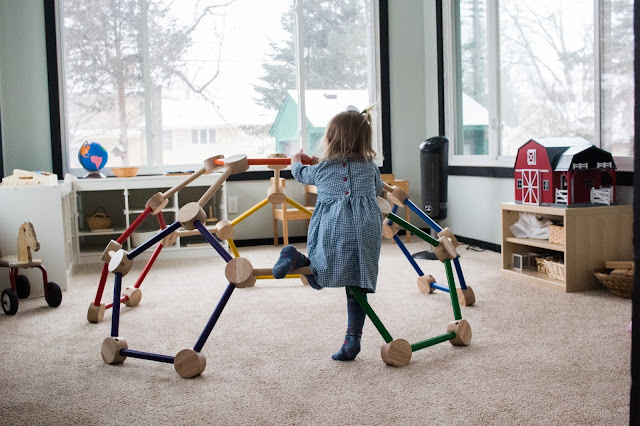 The traditional magnets aren't Montessori friendly for a couple of reasons. One they are so busy! They are patterned and they are multiple colors per letter. This makes it really difficult to isolate the concept of letter. Also, they are all capital letters. In Montessori children learn lower case letters first. A simple set of letters is a great alternative. These stick to two colors one for consonants and one for vowels. Now, markers aren't the worst choice in the world and many Montessori home environments (including my own) use them. But, they aren't always the most Montessori friendly option. They don't provide sensory feedback to a child and work the same whether or not a child is using the correct amount of pressure or correct grip. A better alternative is a nice set of color pencils. 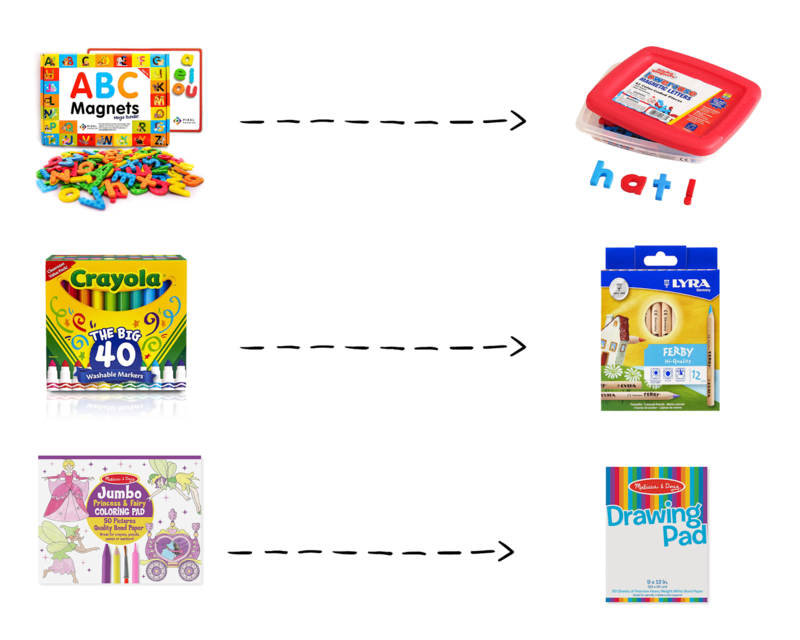 These can be used not only for creative expression but are great for early writing. 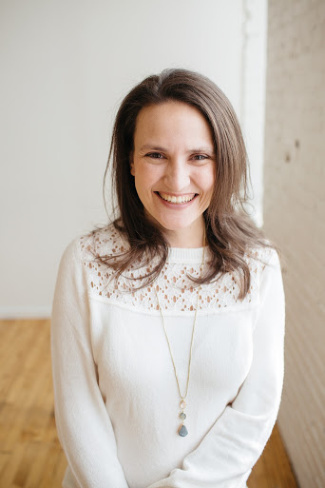 The traditional option isn't Montessori friendly because it is adult-led and contains fantasy. Here an adult (the company designing this pad) has told the child how to be creative by providing the framework in the book. The content is also based on fantasy which is avoided under age 6 in Montessori. Honestly, a blank pad of paper is the best! A child can do so much with it and truly be creative. This one is going to be controversial. I know many Montessori families use this particular set for real purposes, and from that point of view it isn't horrible. But, I think the same goals can be accomplished with real tools for about the same price. And, I'm always a fan, where possible, to give the children real tools. Now, I don't really think the pretend set is a problem if it actually works, I've heard mixed reviews on some of the pieces. The cartoon animals aren't the best choice for a couple of reasons. One they again are busy with a variety of colors being used on the magnets. They are also cartoon images, and while based on reality, they aren't the best we can give a child (even for this price). The real images are better representatives of the animals and overall isolate the animals in a cleaner way with the one color background. Here this change might seem little but is the difference between adult led play and child led exploration. The train set is much more limiting and an adult is telling the child (through the instructions) how the blocks should be used. Now, I do think there is some beauty in a child learning to follow instructions to build Lego, but personally I like the simple examples that come with the open ended blocks. That way a child can still be creative with the blocks in a much more open ended way. Now, this one has NOTHING to do with pretend play! Both encourage pretend play which is totally appropriate for this age at home. But the Little People set is just far less realistic. The figures are disproportionate and overall less real. The Playmobil is more realistic and includes a lot of fantastic detail. I also enjoy that the people are diverse. Again, this isn't about pretend play, but quality of pretend play. Paw Patrol is not only commercialized but it is fantasy and overall not Montessori friendly. Providing real dog figures to play with fills this same purpose, in a way that is grounded in reality. It occurred to me as I'm writing this that maybe children are attracted to the "workers" that these dogs represent, and simple people figurines would also fill that interest. This one is about the pretend play! Here providing pretend food to play with, isn't as desirable because children crave real work where possible. It is very possible for preschool children to be working in a real kitchen helping to prepare meals and snacks! So providing a nice set of tools for real work is a much more Montessori friendly gift! Do you have these choices, or any other Montessori friendly alternative to these traditional toys? Ha. My bad. Didn’t even let ok that closely. (You mention the duplo set, not mega...oh well!). Again. Thanks for the post. I see your blog regularly. Your blog is very useful for us.